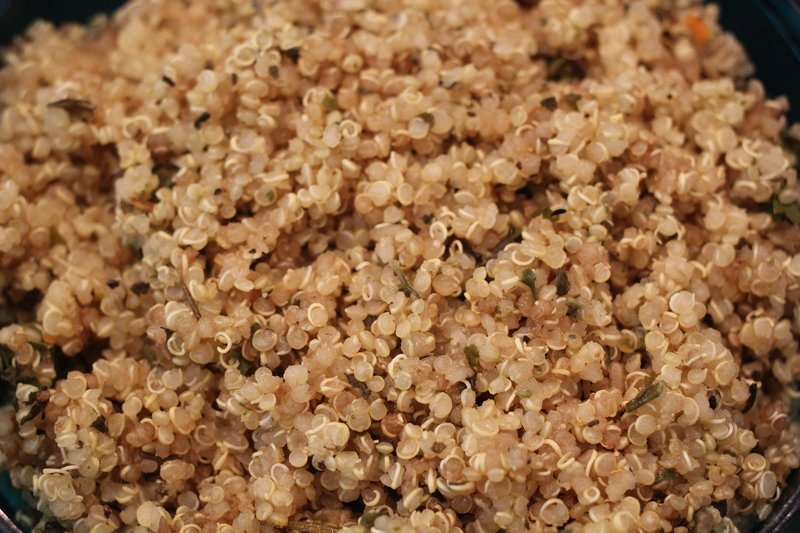 Quinoa is a great source of a complete protein. 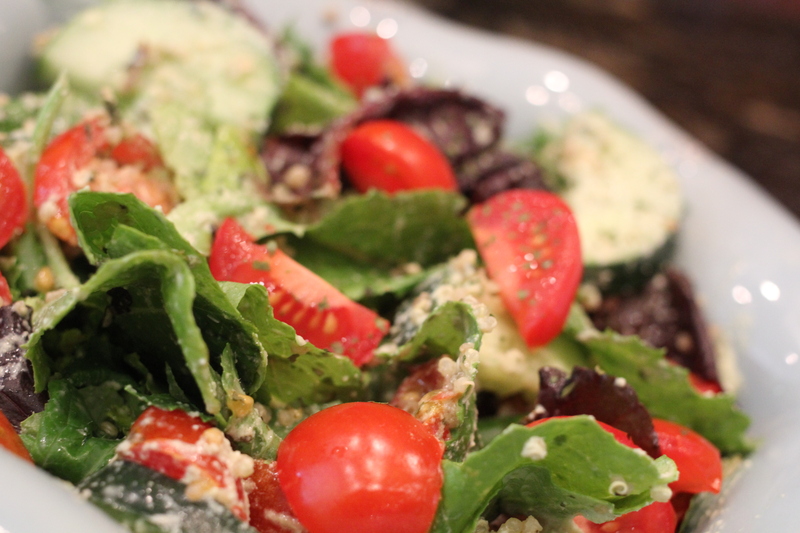 I love adding it to salads. 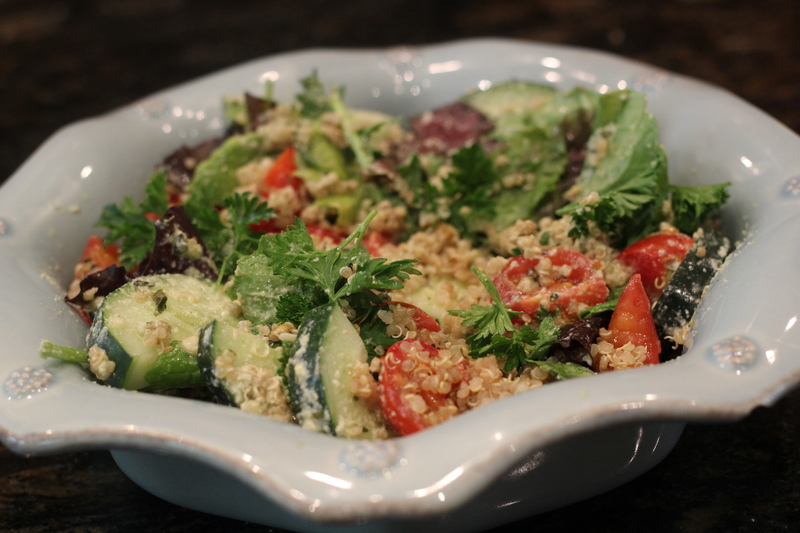 (Le Pain Quotidien’s Quinoa Tabbouleh Arugula Salad is my absolute fave) This filling dish is full of nutrients and an array of flavor, sans sodium and oil. 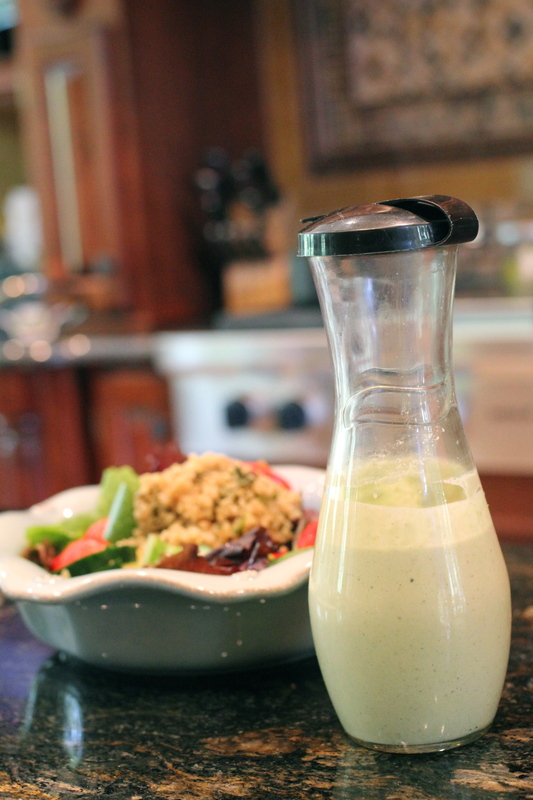 Blend all ingredients in a Vitamix, or high speed blender until smooth. 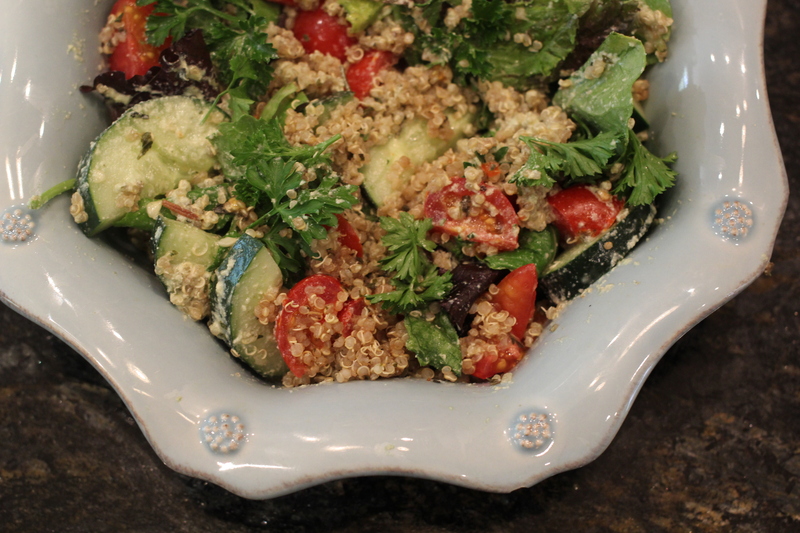 Toss salad, add 1/4 C quinoa and dressing and mix well. Enjoy!